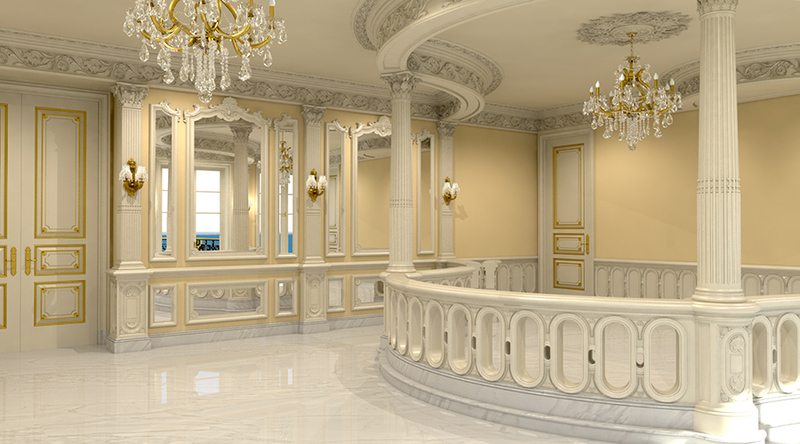 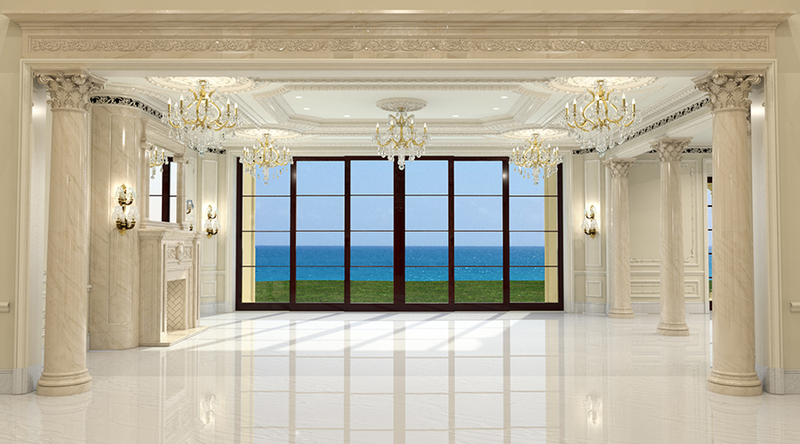 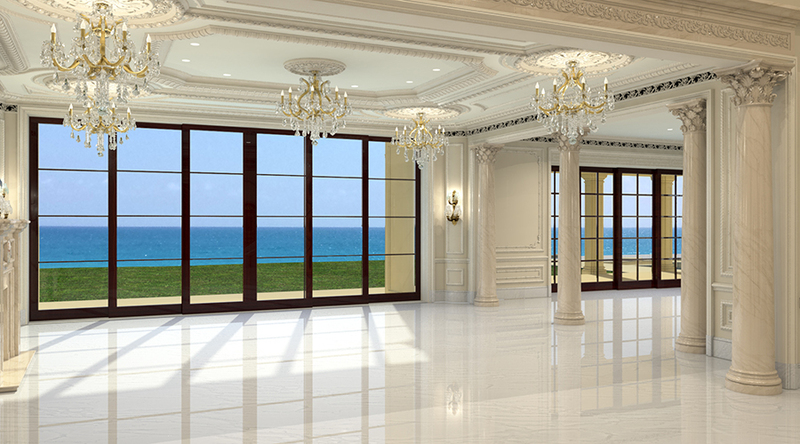 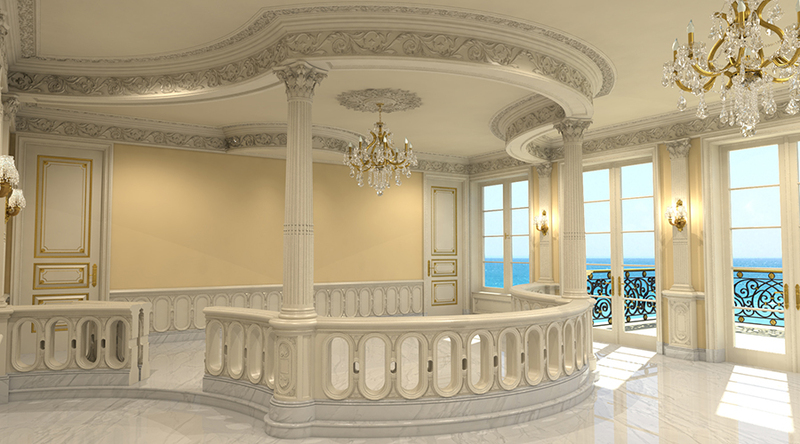 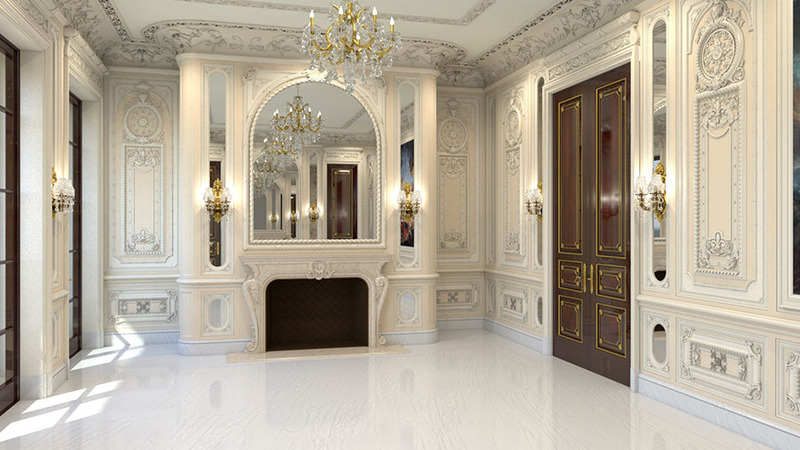 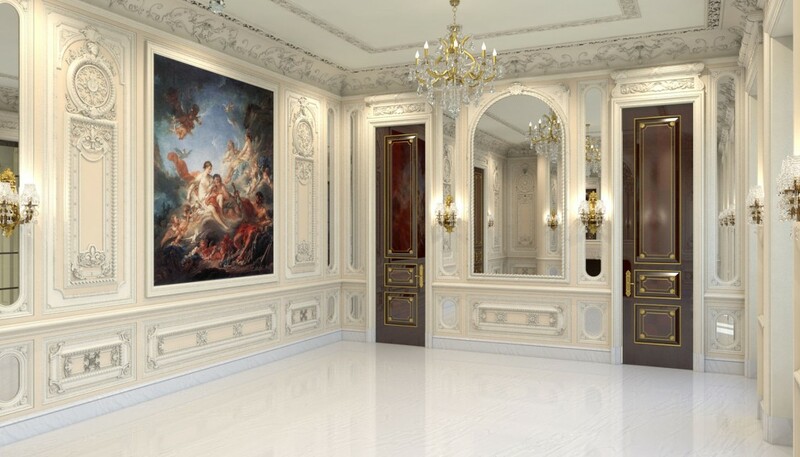 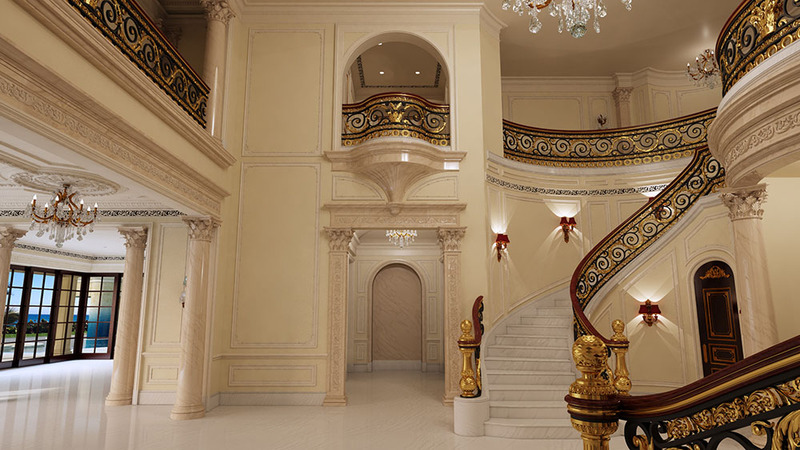 This is an amazing mansion inspired by European Castle and mainly the Château de Versailles. 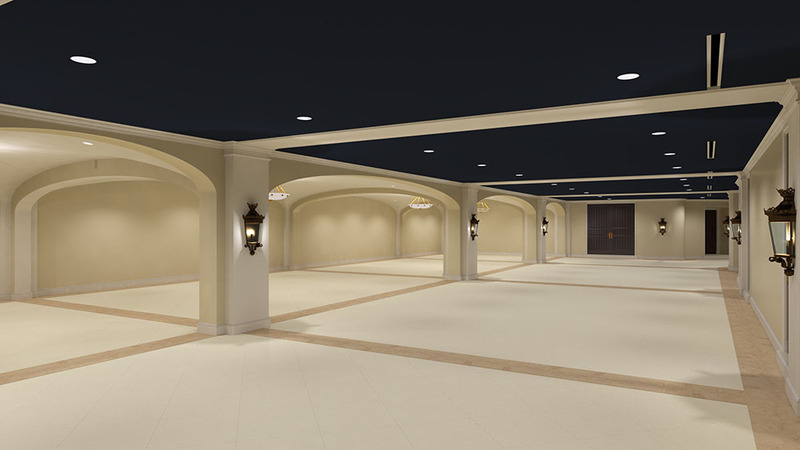 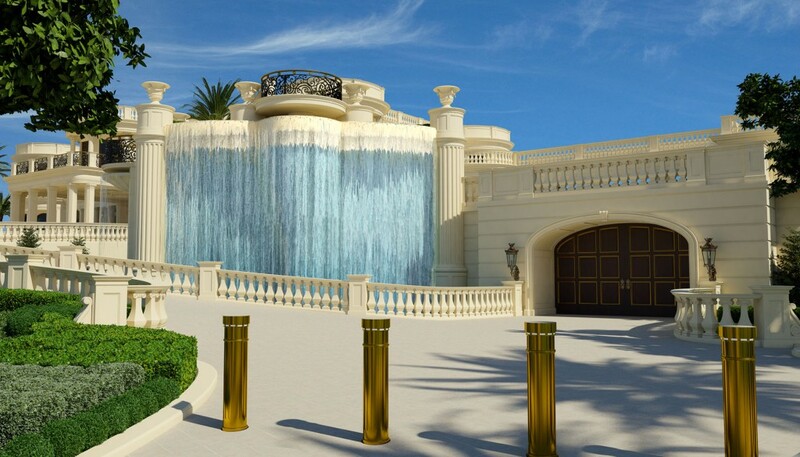 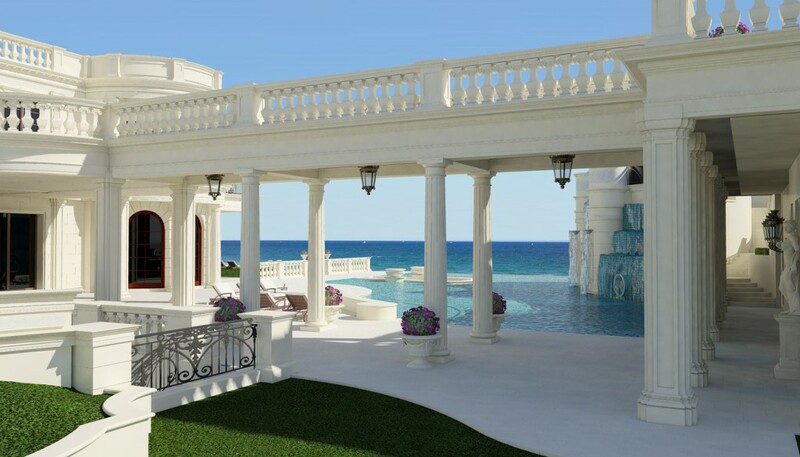 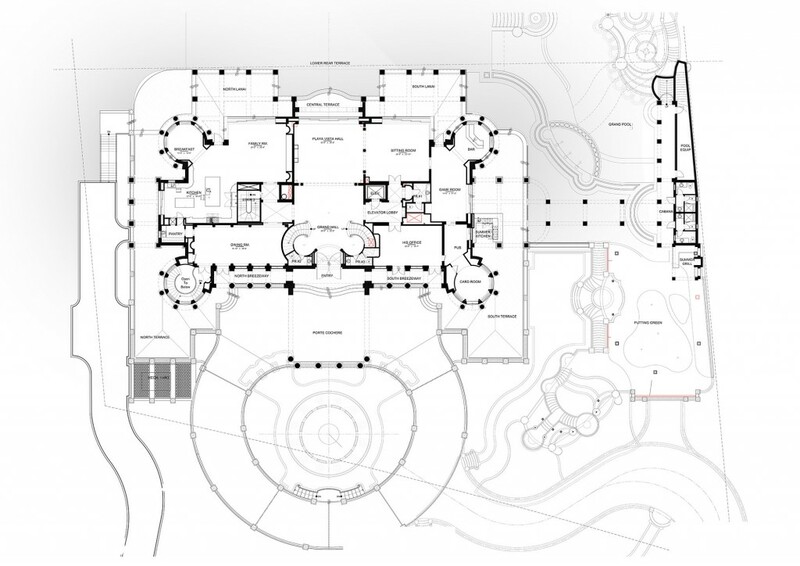 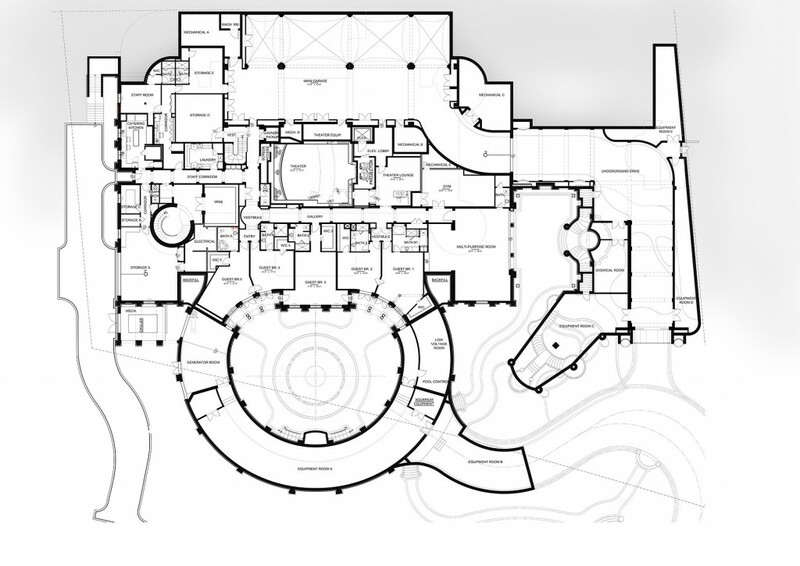 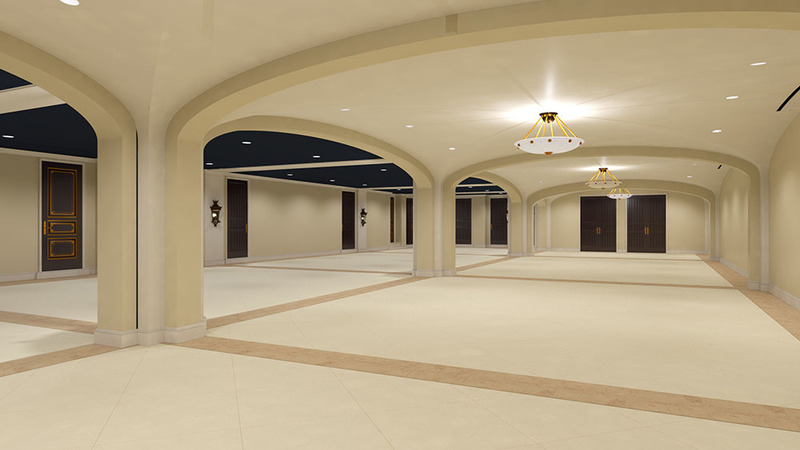 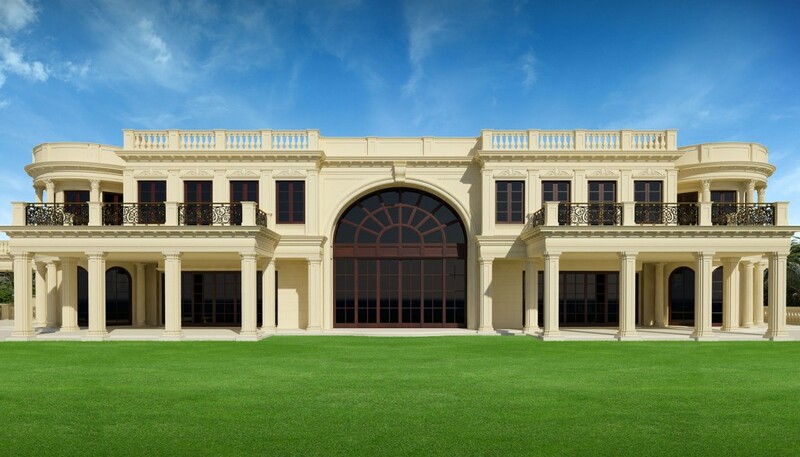 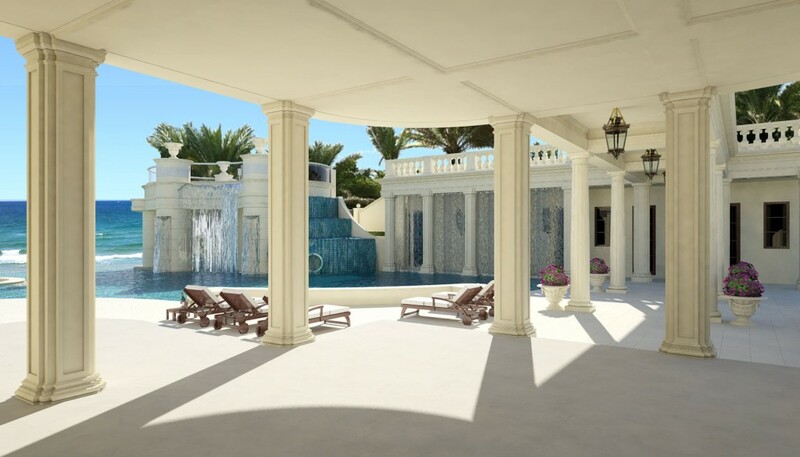 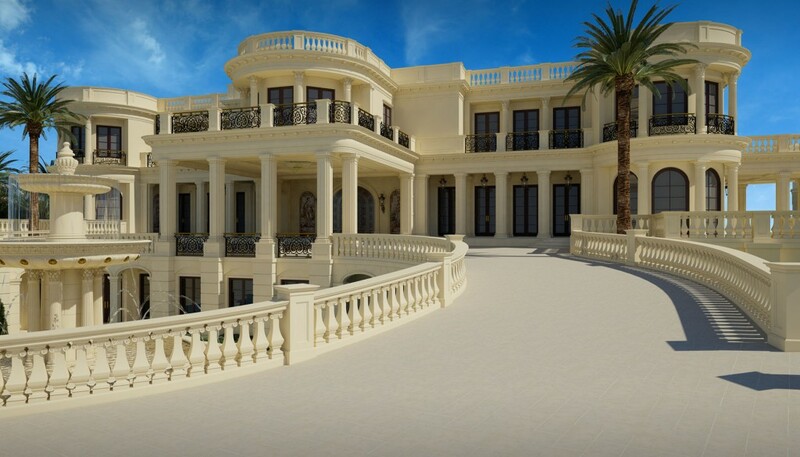 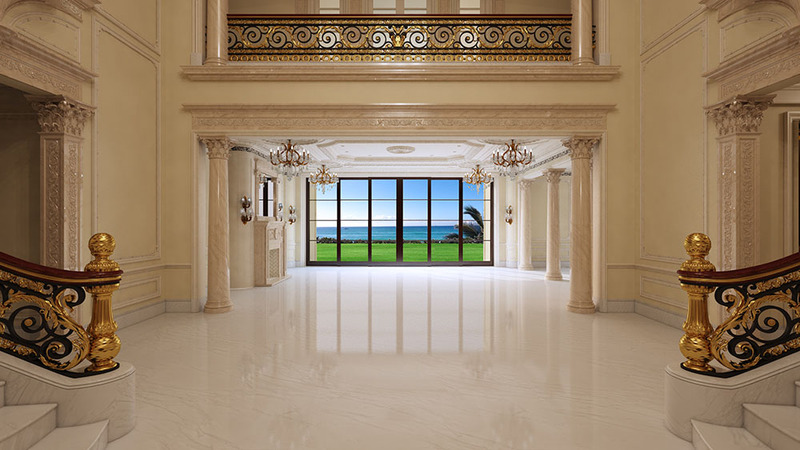 This mega mansion is an eleven bedrooms, seventeen bathrooms dream home. 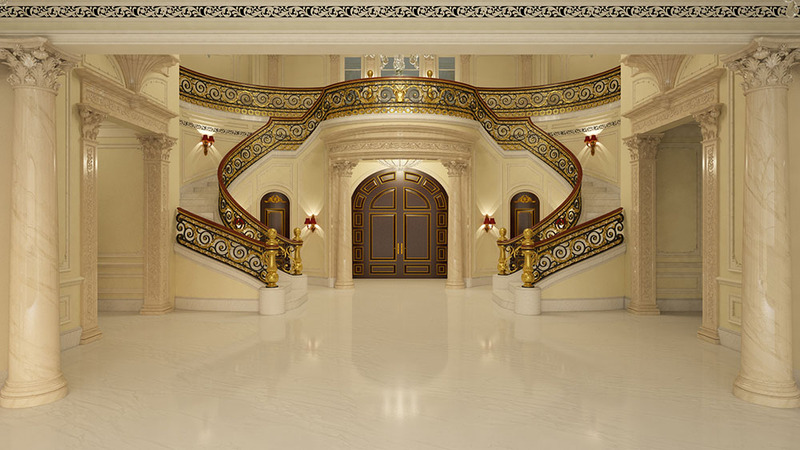 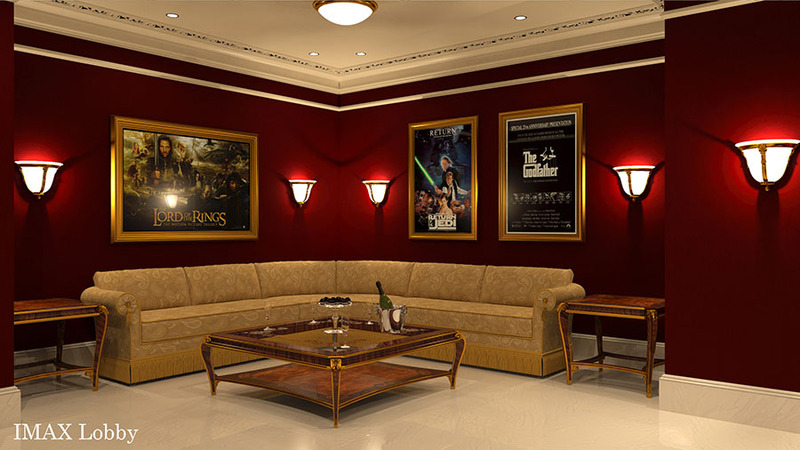 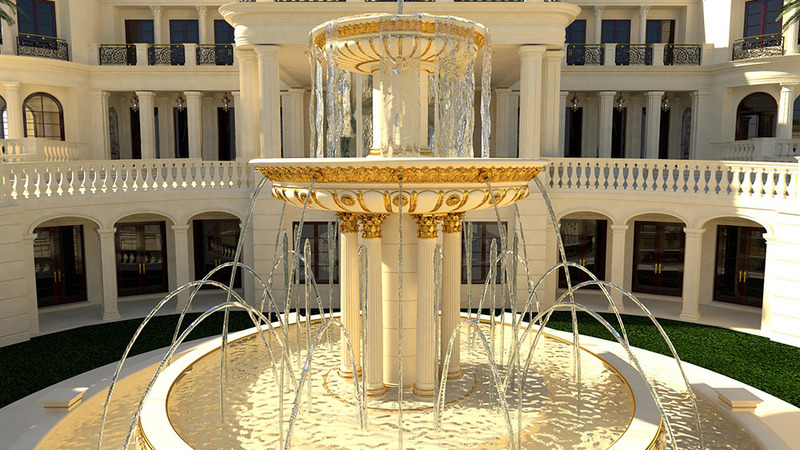 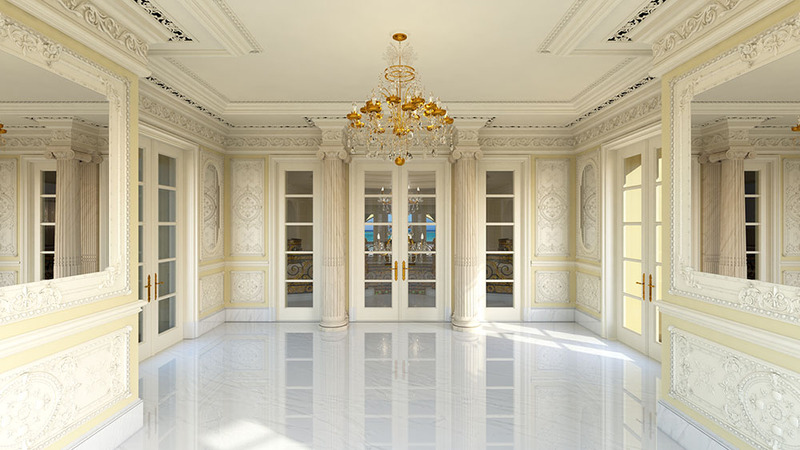 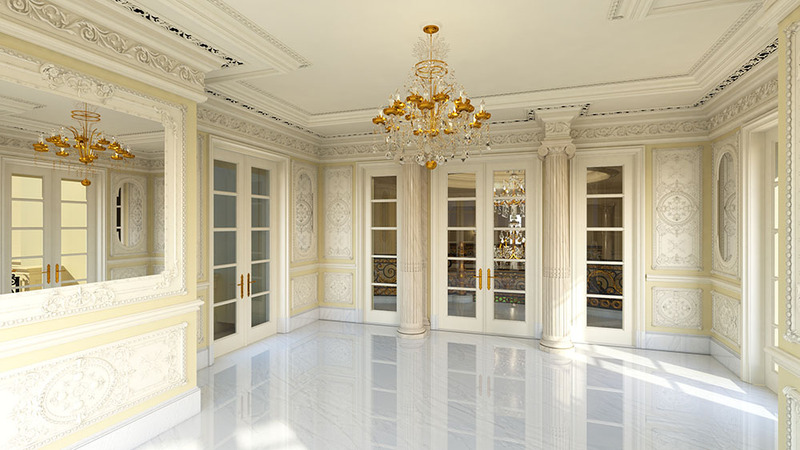 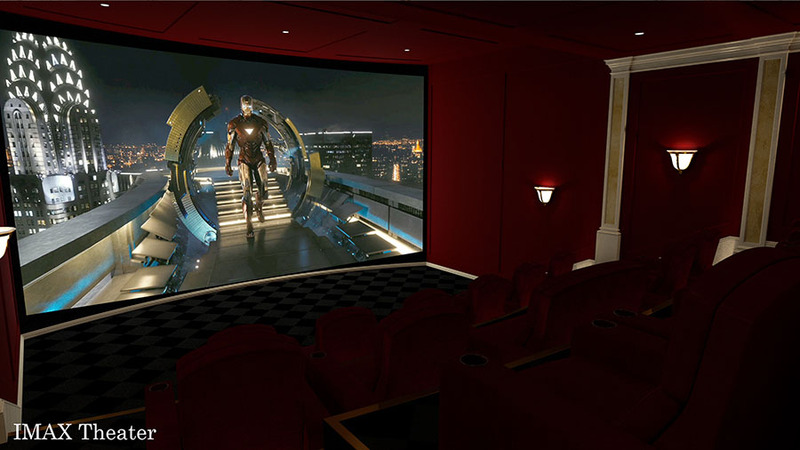 Surrounded by a gate that is decorated with 22-karat gold leaf, the house includes a marble staircase, a subterranean garage that can accommodate 30 cars and an 18- seat IMAX home theater with a 50-foot-wide screen. 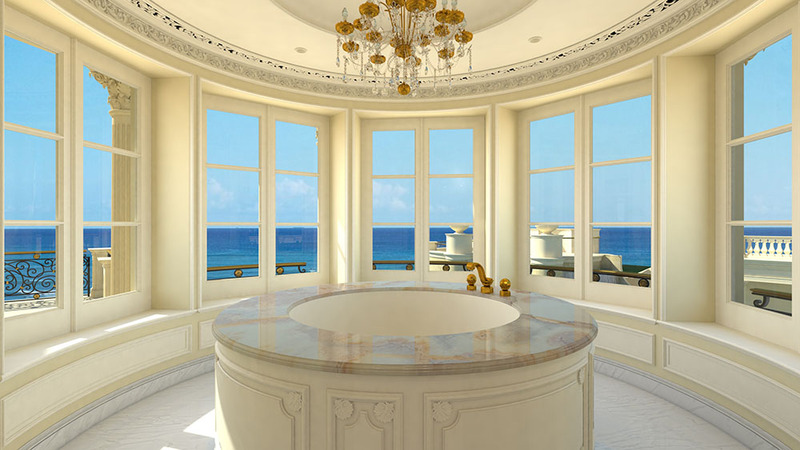 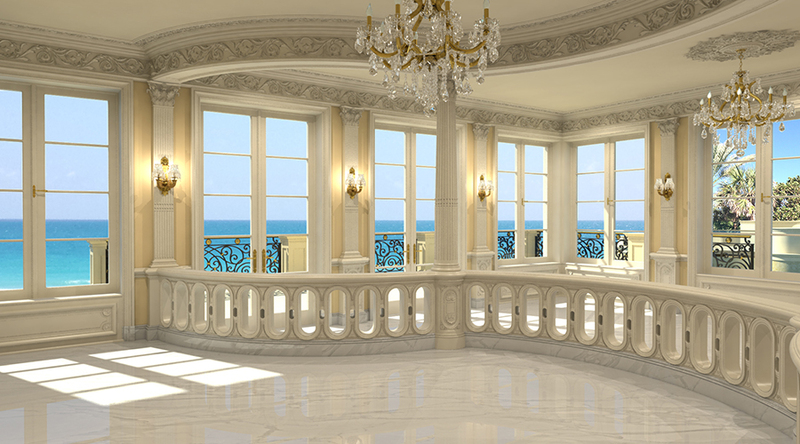 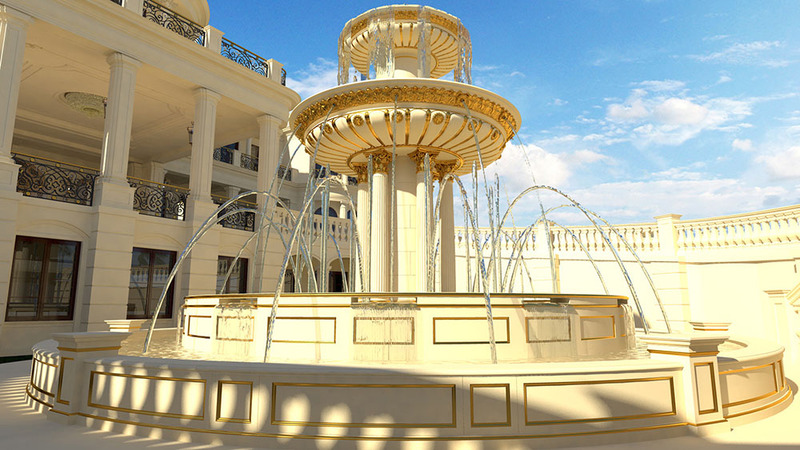 There are three master suites and a presidential suite, each with its own Jacuzzi in a windowed circular rotunda. 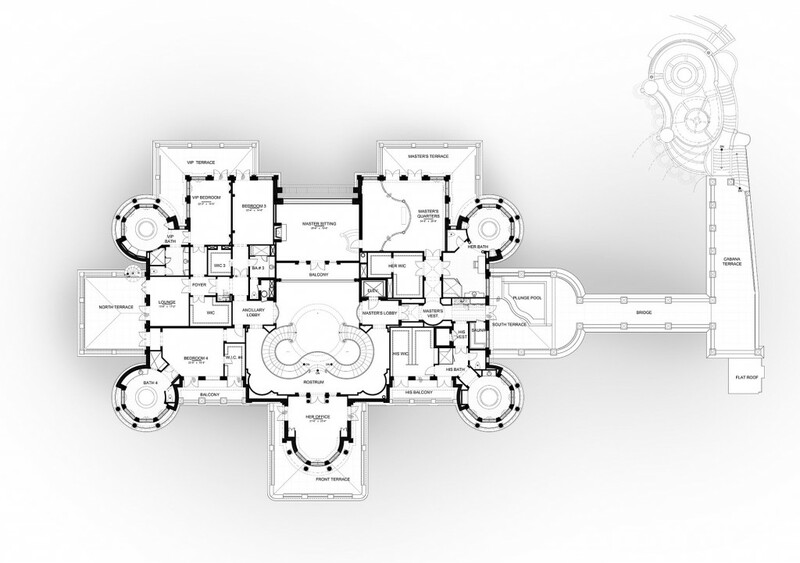 The entire home was built to be soundproof. 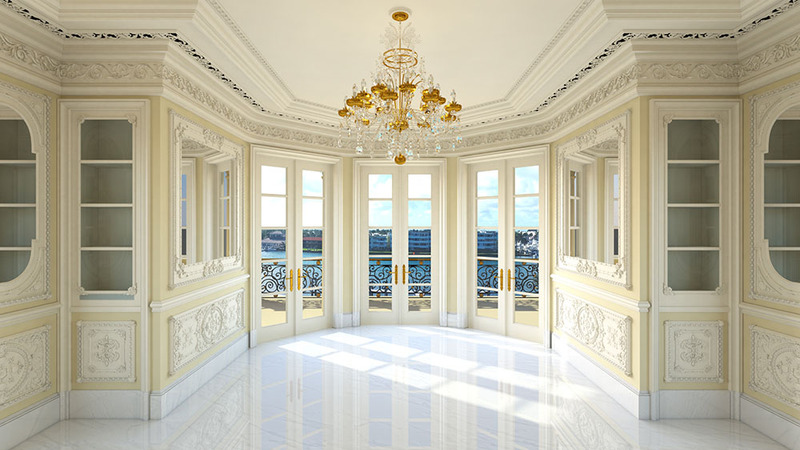 The home's South African marble floors were insulated specifically so the clacking of high heels will be muted. 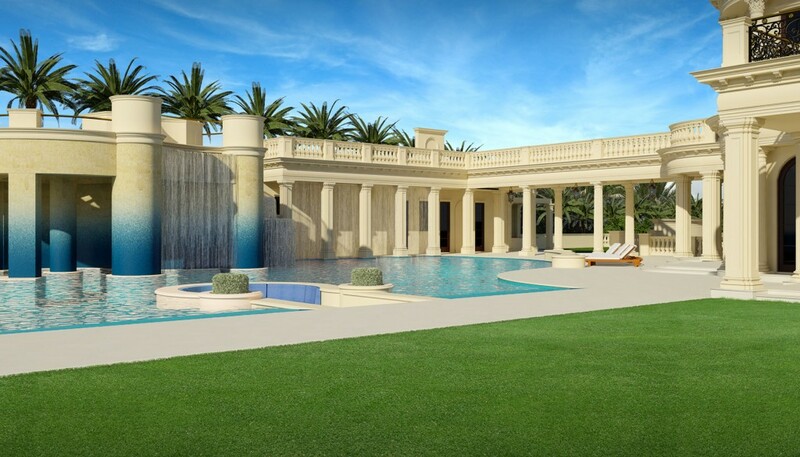 Other features include a spa, massage room, gym, and putting green. 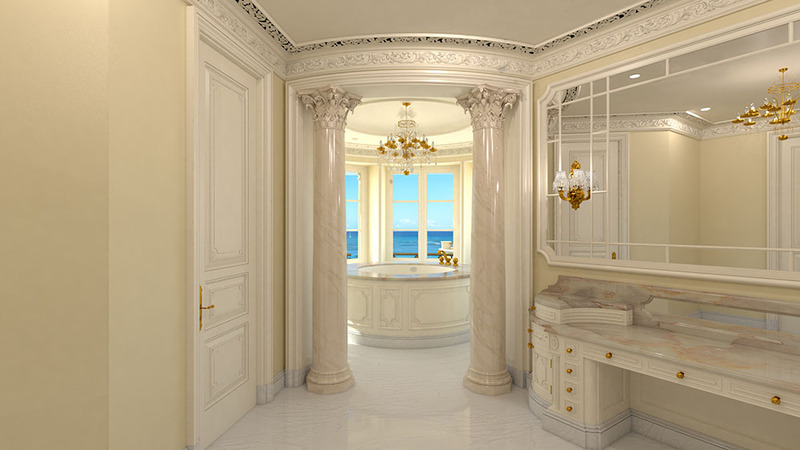 Four of the 11 bedrooms are master suites with their own private jacuzzis. 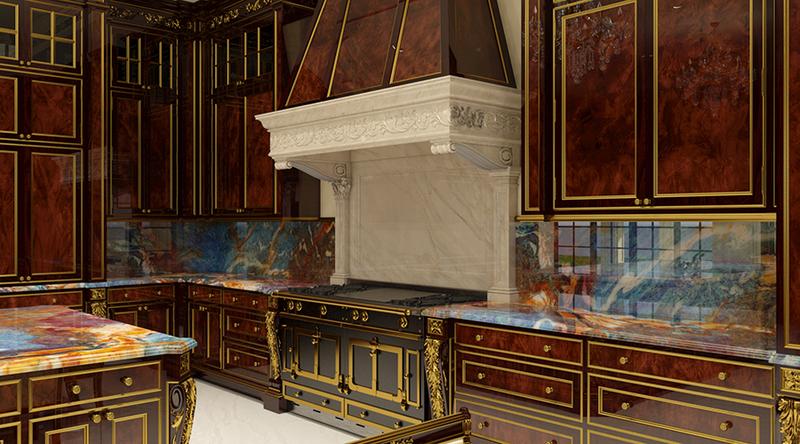 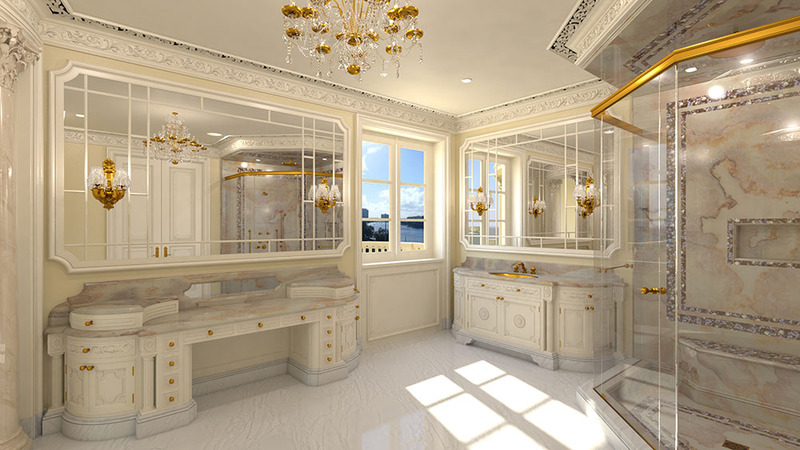 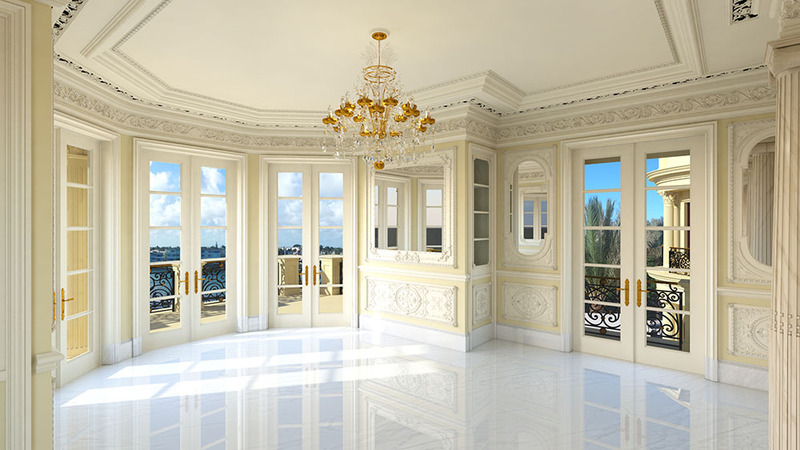 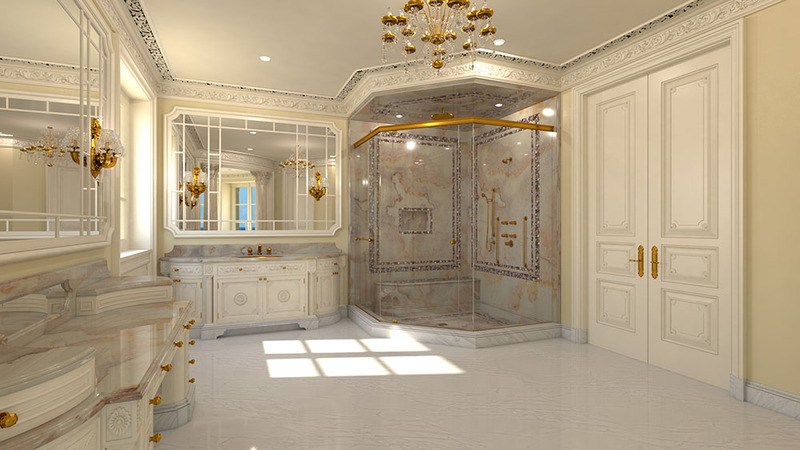 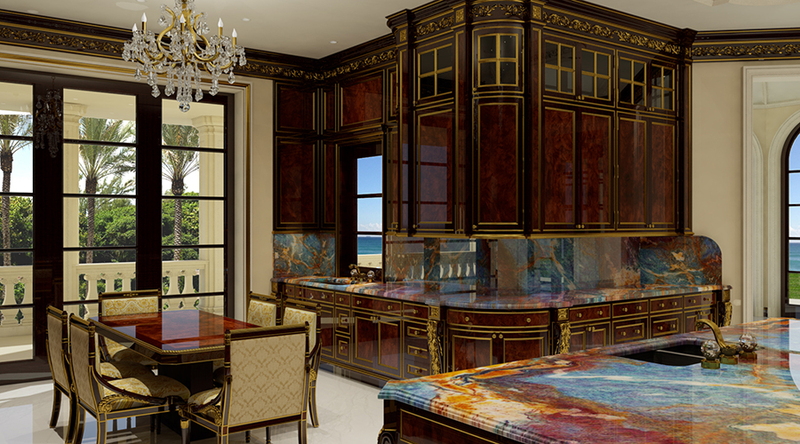 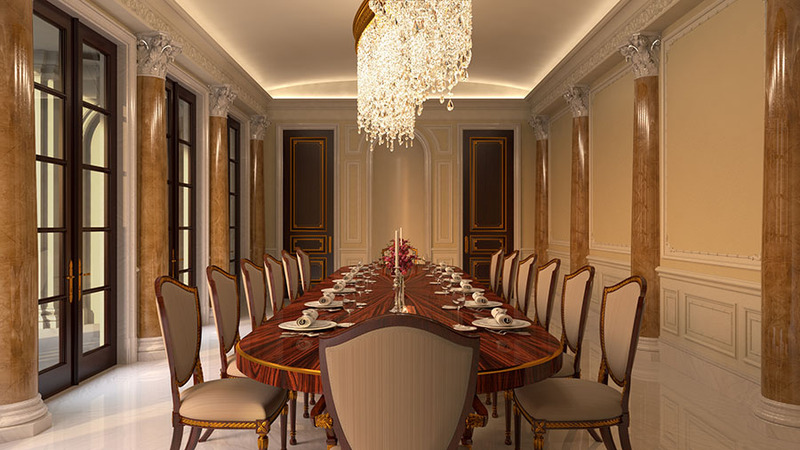 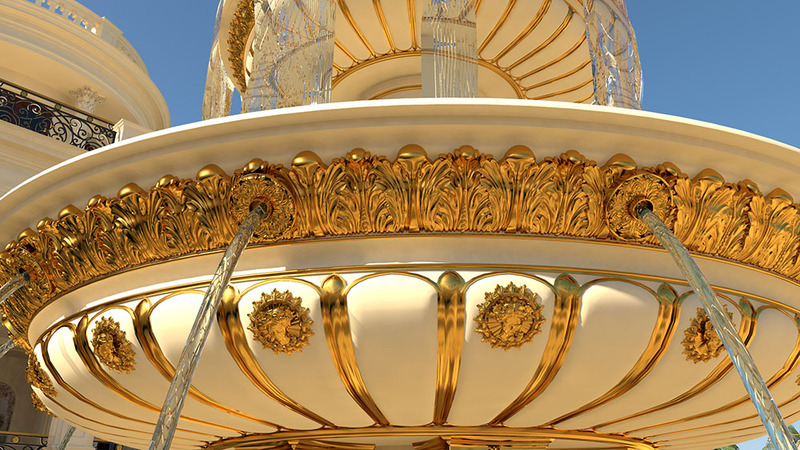 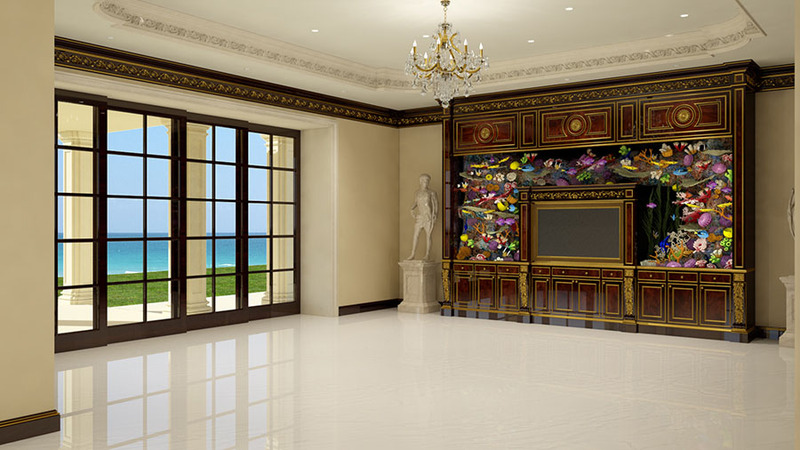 Cabinets in the kitchen will also be adorned with 22-carat gold leafing. 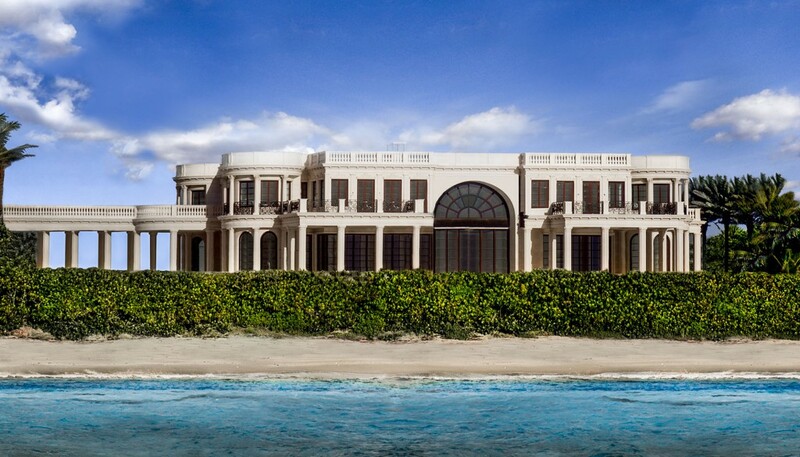 CURRENTLY THE MOST EXPENSIVE PROPERTY OF THE AMERICAN CONTINENT!